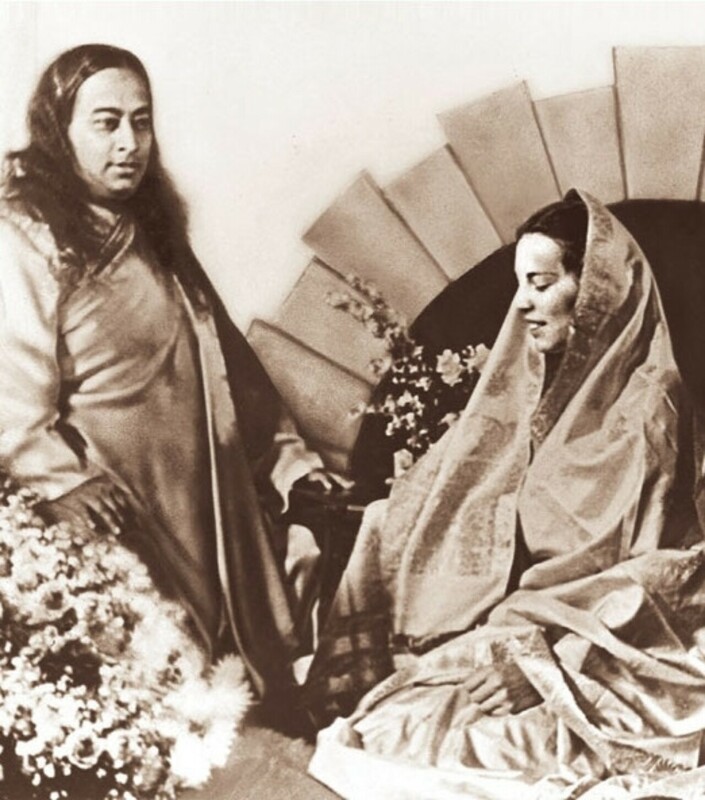 Discover the illuminating story of Paramahansa Yogananda’s life. In his youth Mukunda sought out many of India's sages and saints, hoping to find an illumined teacher to guide him in his spiritual quest. It was in 1910, at the age of seventeen, that he met and became a disciple of the revered Swami Sri Yukteswar Giri. In the hermitage of this great master of yoga he spent the better part of the next ten years, receiving Sri Yukteswar’s strict but loving spiritual discipline. 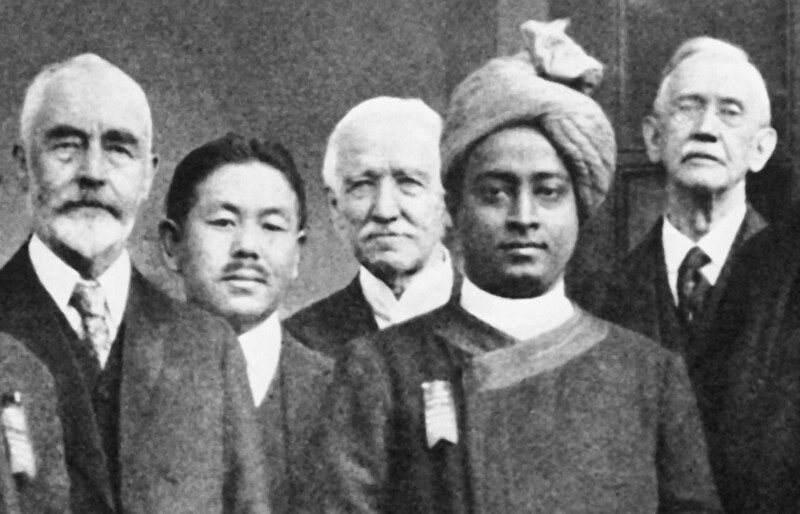 A few of the delegates to the International Congress of Religious Liberals, October 1920, Boston, Massachusetts, at which Yoganandaji (second from right) gave his maiden speech in America. 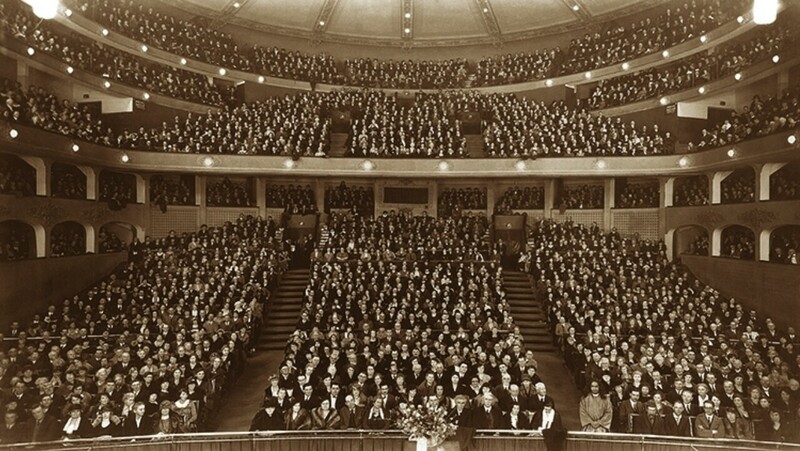 Among those who became his students were many prominent figures in science, business, and the arts, including horticulturist Luther Burbank, operatic soprano Amelita Galli-Curci, George Eastman (inventor of the Kodak camera), poet Edwin Markham, and symphony conductor Leopold Stokowski. In 1927, he was officially received at the White House by President Calvin Coolidge, who had become interested in the newspaper reports of his activities. In 1929, during a two-month trip to Mexico, he planted the seeds for future growth of his work in Latin America. He was welcomed by the president of Mexico, Dr. Emilio Portes Gil, who became a lifelong admirer of Yogananda’s teachings. 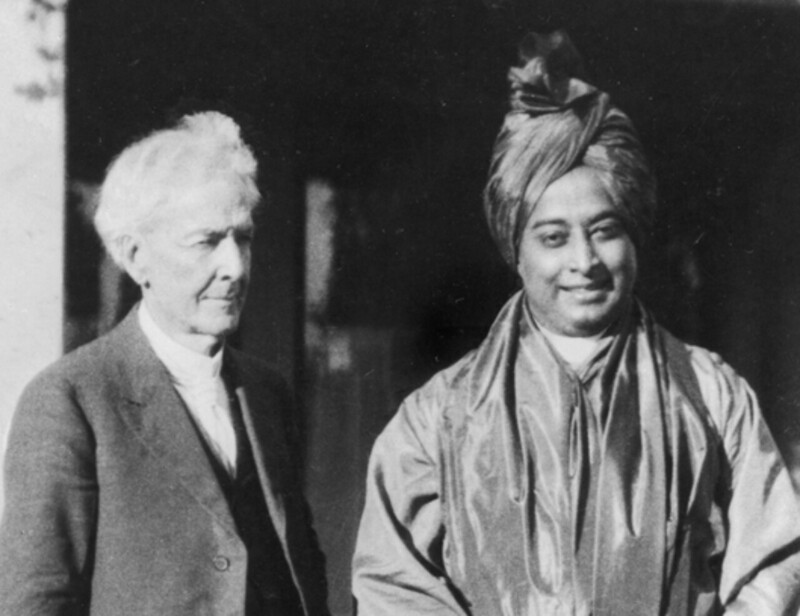 Luther Burbank and Paramahansa Yogananda, 1924. 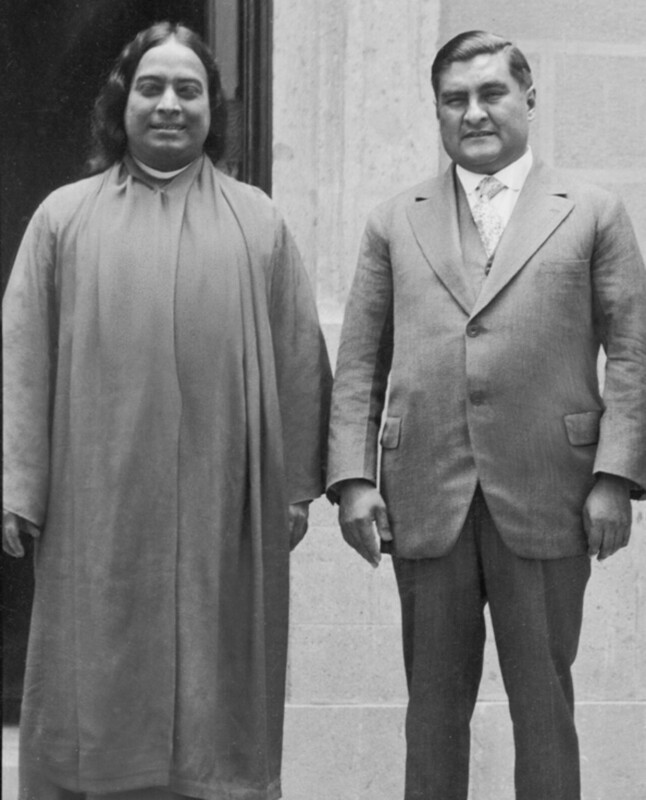 His Excellency Emilio Portes Gil, president of Mexico, and Sri Yogananda, Mexico City, 1929. 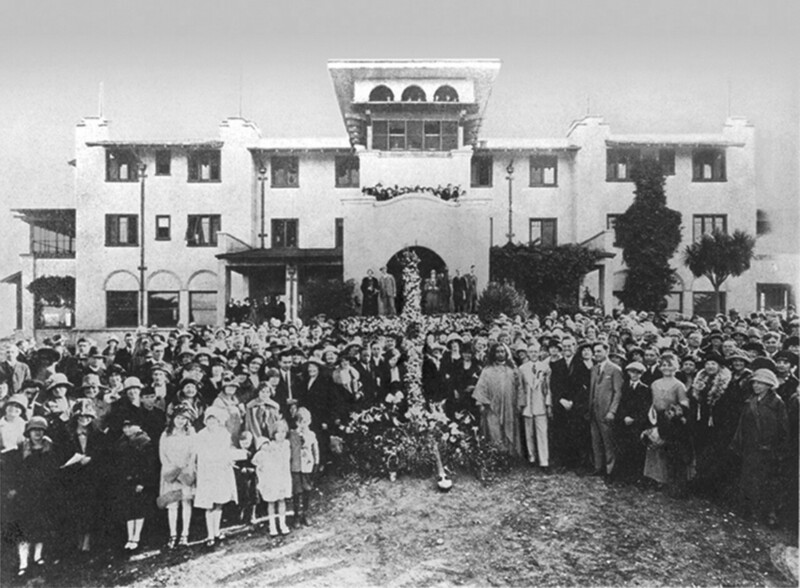 By the mid-1930s, Paramahansaji had also met quite a few of the early disciples who would help him build the Self-Realization Fellowship work and carry the Kriya Yoga mission forward after his own lifetime was over — including two whom he appointed to be his spiritual successors as president of Self-Realization Fellowship: Rajarsi Janakananda (James J. Lynn), who met the Guru in Kansas City in 1932; and Sri Daya Mata, who had attended his classes in Salt Lake City the previous year. Other disciples who attended his lecture programs during the 1920s and ‘30s and stepped forward to dedicate their lives to the SRF work were Dr. and Mrs. M. W. Lewis, who met him in Boston in 1920; Gyanamata (Seattle, 1924); Tara Mata (San Francisco, 1924); Durga Mata (Detroit, 1929); Ananda Mata (Salt Lake City, 1931); Sraddha Mata (Tacoma, 1933); and Sailasuta Mata (Santa Barbara, 1933). 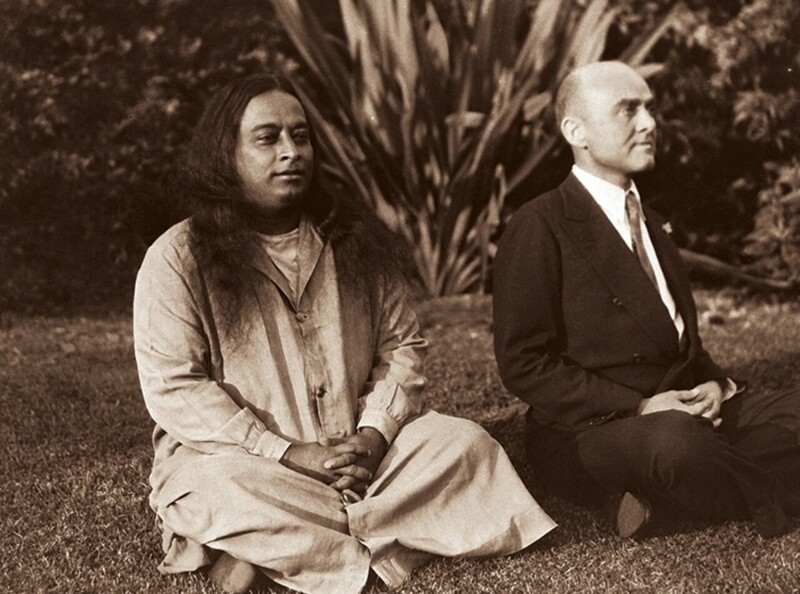 Thus, for many years after Yogananda’s passing, and continuing to this day, Self-Realization Fellowship has been guided by disciples who received Paramahansa Yogananda’s personal spiritual training. 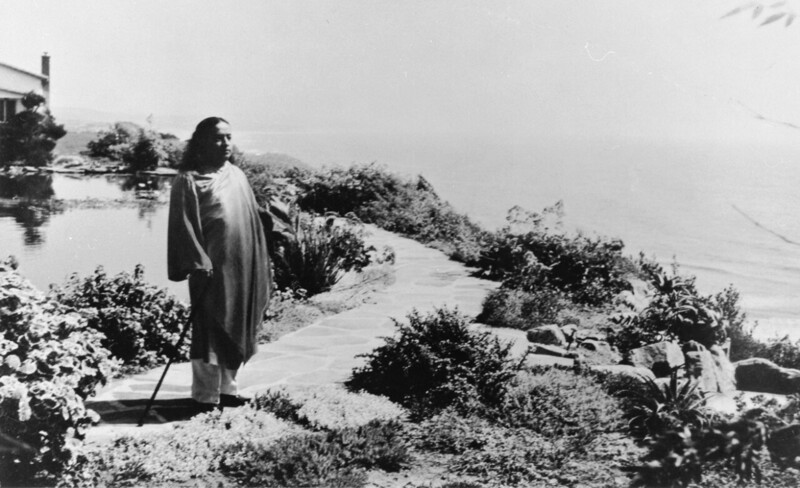 Yogananda’s talks and classes in the earliest years of his ministry were recorded only intermit­tent­ly. However, when Sri Daya Mata (who later became president of his world­wide organization) joined his ashram in 1931, she undertook the sacred task of faithfully recording Yogananda’s hundreds of lectures, classes, and informal talks so that his wisdom and inspiration could be preserved in their original power and purity and published by Self-Realization Fellowship for generations to come. 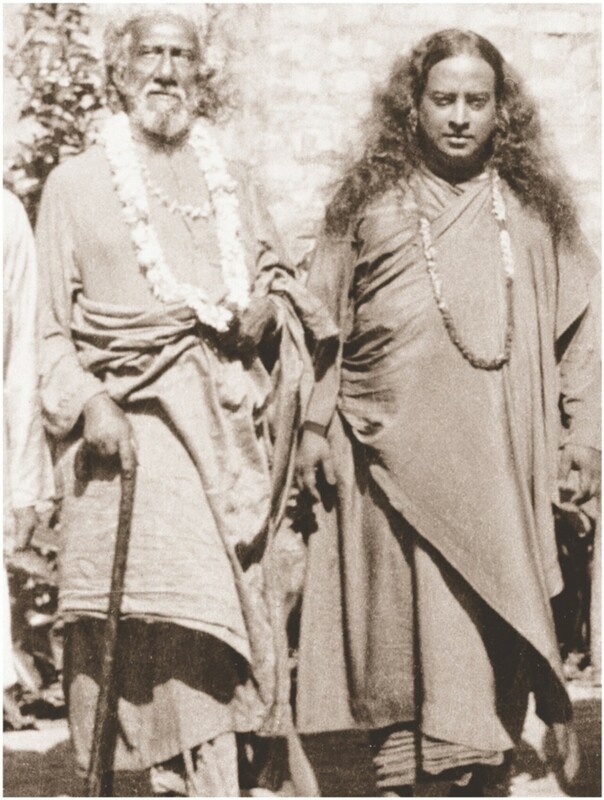 In 1935, Yogananda returned to India for a last visit with his great guru (Sri Yukteswar passed away on March 9, 1936.) Traveling by ship and automobile through Europe, Palestine, and Egypt, he arrived in Bombay in the summer of 1935. During Yogananda’s year-long sojourn in his native land, he gave classes and Kriya Yoga initia­tion in cities throughout the subcontinent. He also enjoyed meetings with Mahatma Gandhi who requested initiation in Kriya Yoga; Nobel‑prize‑winning physicist Sir C. V. Raman; and some of India’s most renowned spiritual figures, including Ramana Maharshi and Anandamoyi Ma. It was during this year that Sri Yukteswar bestowed on him India’s highest spiritual title, paramahansa. Literally “supreme swan” (a symbol of spiritual discrimination), the title signifies one who is established in the ultimate state of union with God. Sri Yogananda and Mahatma Gandhi, Wardha, 1935. 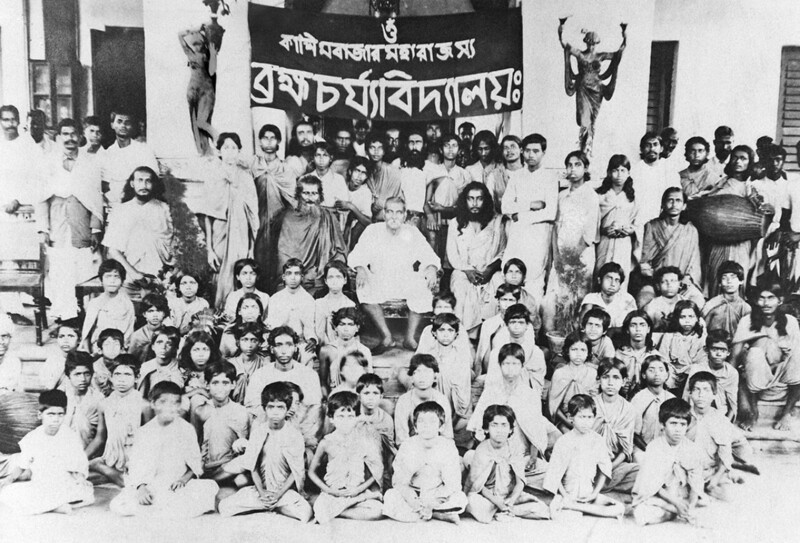 While in India, Yogananda secured the permanent foundation for his work there, Yogoda Satsanga Society of India. 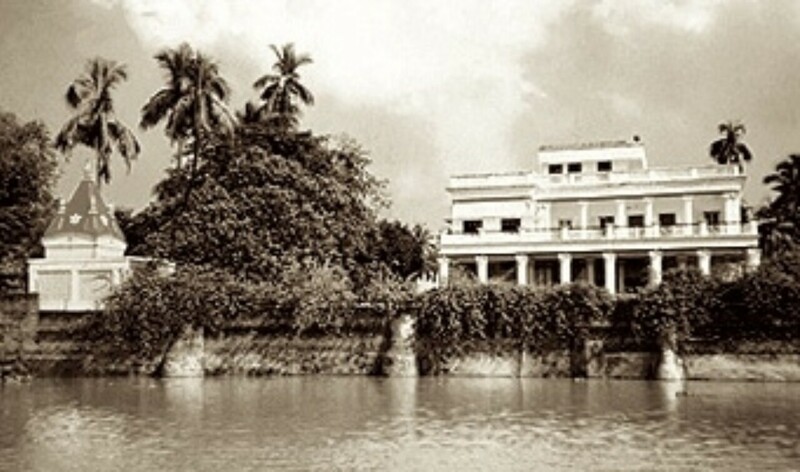 From its headquarters (below) in Dakshineswar (on the Ganges near Kolkata) and the original ashram in Ranchi, the society continues to thrive to this day — with schools, ashrams, meditation centers, and charitable works throughout the subcontinent. In late 1936 he returned to America, where he remained for the rest of his life. 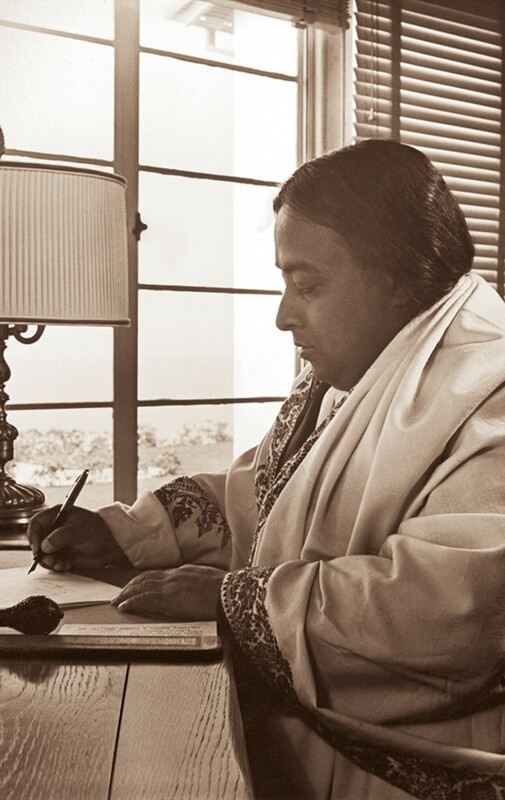 During the 1930s, Paramahansa Yogananda began to withdraw somewhat from his nationwide public lecturing so as to devote himself to the writings that would carry his message to future generations, and to building an enduring foundation for the spiritual and humanitarian work of Self‑Realization Fellowship/Yogoda Satsanga Society of India. Under his direction, the personal guidance and instruction that he had given to students of his classes was arranged into a comprehensive series of Self-Realization Fellowship Lessons for home study. These Lessons are available today, as during his lifetime, by subscription. A beautiful hermitage overlooking the Pacific Ocean at Encinitas, California, had been built for the Guru during his absence in India by his beloved disciple Rajarsi Janakananda. Here the Guru spent many years working on his autobiography and other writings, and began the SRF Retreat program which continues to this day. He also founded several Self-Realization Fellowship temples (Encinitas, Hollywood, and San Diego), speaking regularly there to devoted audiences of SRF members and friends on a vast array of spiritual subjects. Many of these talks, which were recorded stenographically by Sri Daya Mata, have since been published by SRF in the three volumes of Yogananda's Collected Talks and Essays and in Self-Realization magazine. Yogananda's life story, Autobiography of a Yogi, was published in 1946 (and significantly expanded by him in subsequent editions). A perennial best seller, the book has been in continuous publication since it first appeared and has been translated into many languages. It is widely regarded as a modern spiritual classic. 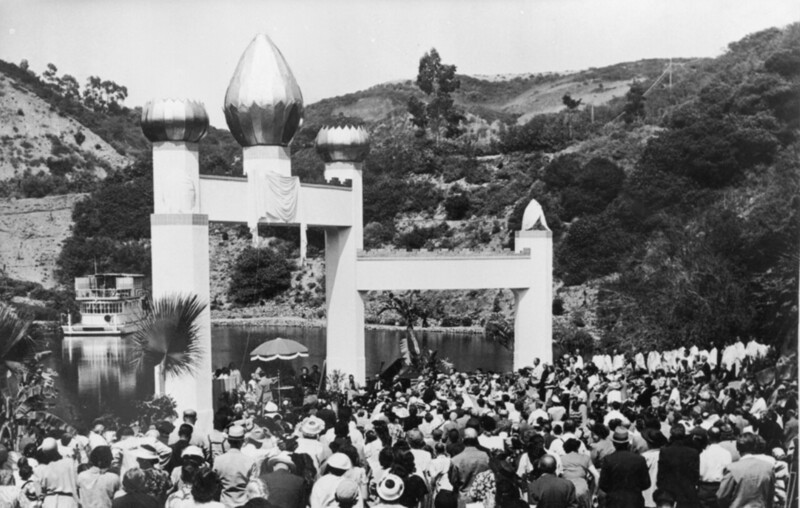 In 1950, Paramahansaji held the first Self-Realization Fellowship World Convocation at the international headquarters in Los Angeles — a weeklong event that today attracts thousands each year from all around the globe. He also dedicated the beautiful SRF Lake Shrine in Pacific Palisades, enshrining a portion of Mahatma Gandhi’s ashes in the ten-acre lakeside meditation gardens that has since become one of California's most prominent spiritual landmarks. 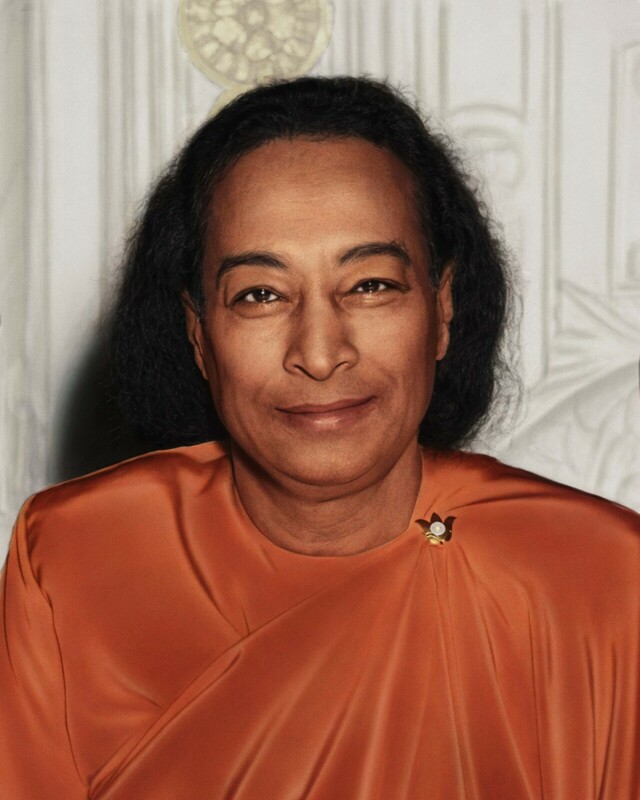 Paramahansa Yogananda’s final years were spent largely in seclusion, as he labored intensely to complete his writings — including his voluminous commentaries on the Bhagavad Gita and the teachings of Jesus Christ in the four Gospels, and revisions of earlier works such as Whispers from Eternity and the Self-Realization Fellowship Lessons. He also worked extensively with Sri Daya Mata, Mrinalini Mata, and a few other of his closest disciples, imparting the spiritual and organizational guidance that would enable them to carry on his worldwide work after he would be gone. “My body shall pass but my work shall go on. And my spirit shall live on. Even when I am taken away I shall work with you all for the deliverance of the world with the message of God. On March 7, 1952, the great guru entered mahasamadhi, a God‑illumined master’s conscious exit from the body at the time of physical death. He had just finished giving a short speech at a banquet honoring India’s ambassador to the United States, Dr. Binay R. Sen, at the Biltmore Hotel in Los Angeles. 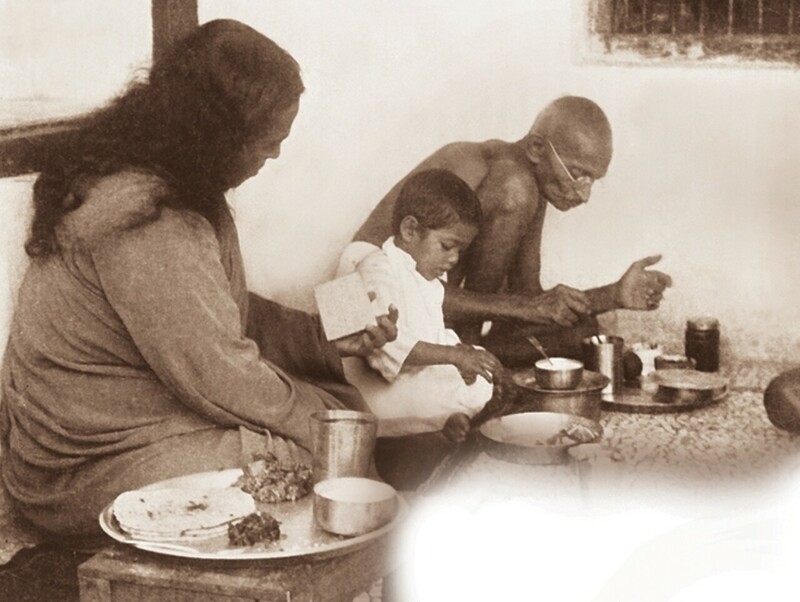 The ideal of love for God and service to humanity found full expression in the life of Paramahansa Yogananda....Though the major part of his life was spent outside India, still he takes his place among our great saints. His work continues to grow and shine ever more brightly, drawing people everywhere on the path of the pilgrimage of the Spirit. In 2017 India’s Prime Minister, the Honorable Sri Narendra Modi, paid tribute to Paramahansaji during a special ceremony in New Delhi on March 7, 2017, in which the Government of India released a new postage stamp to commemorate the 100th anniversary of Yogoda Satsanga Society. The date was chosen to honor the anniversary of Paramahansaji’s mahasamadhi. In his inspired address, the Prime Minister characterized Paramahansaji as one of India’s greatest yogis and teachers—one whose life and work demonstrated for the world the tremendous value of India’s spirituality—and praised YSS for successfully maintaining the legacy and spirit of its founder in sharing India’s ancient heritage in the modern world. In 2014, an award-winning documentary film on the life and work of Paramahansa Yogananda, Awake: The Life of Yogananda, was released in theaters and has since screened to enthusiastic audiences worldwide.